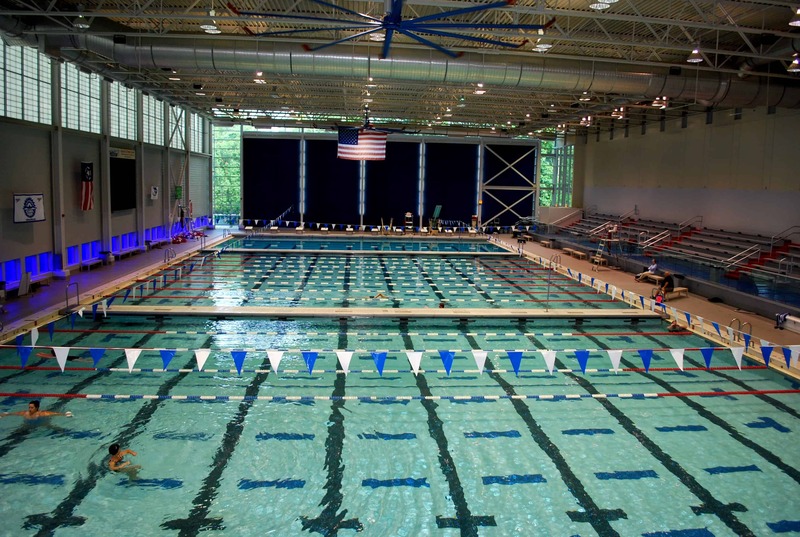 The Freedom Aquatic & Fitness Center has one of the largest, most beautiful, indoor natatoriums in Northern Virginia. Featuring a 50-meter competition pool that can hold multiple activities, a warm-water leisure pool with play features and beach entry, and a whirlpool spa where adults can relax after a workout, Freedom offers a pleasant and comfortable aquatic experience year-round. 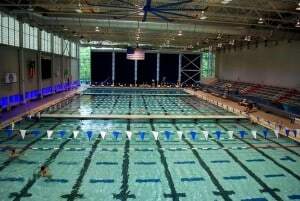 This pool has a large shallow area for open swim, aquatic fitness classes, and swimming lessons, along with multiple 25-yard lap lanes for lap swim, competitive swimming programs, and aquatic instruction. At least four 25-yard lanes are available during all pool hours for individual lap swim. 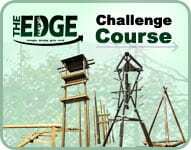 Recreational springboard diving is available during posted Diving Board Hours. Please click here for our pool schedule. Occasionally part or all of this pool is closed for competitive events. Check out our About Us Hours of Operation & Closings page for information about upcoming pool events that may affect normal pool operating hours and/or availability. 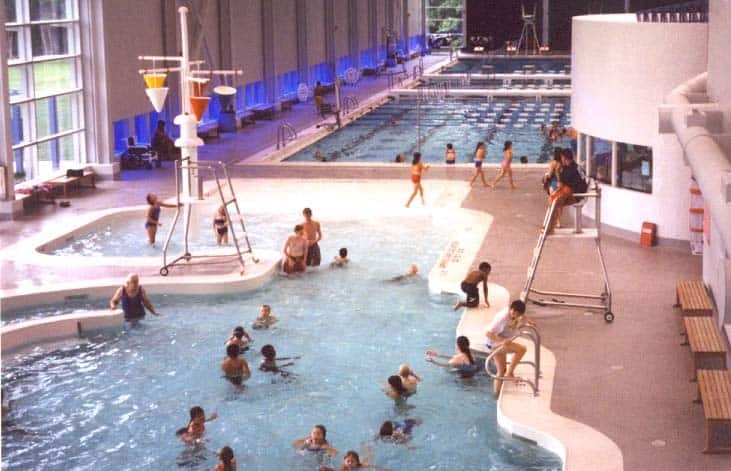 A shallow water playground, the leisure pool features a serpentine slide, a “current channel” of moving water, a swirling vortex, and tumble buckets to make swimming loads of fun for all ages. 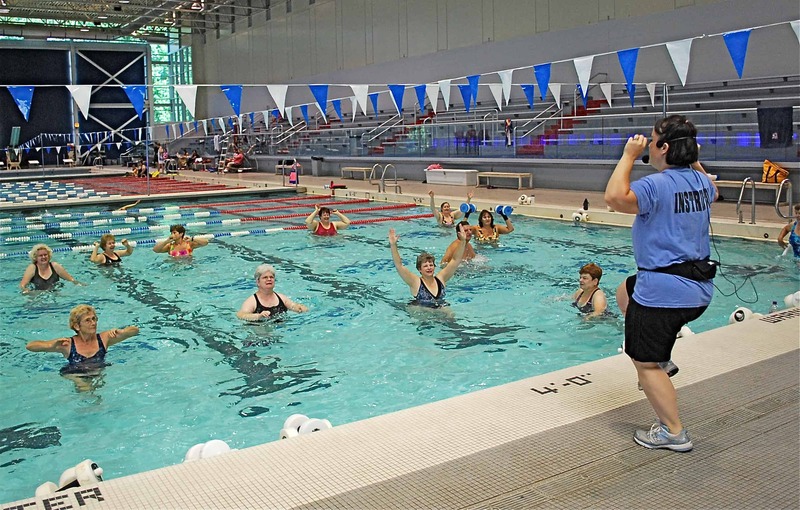 This pool is also home to learn-to-swim classes for the younger set plus adult arthritis movement and warm water exercise classes. 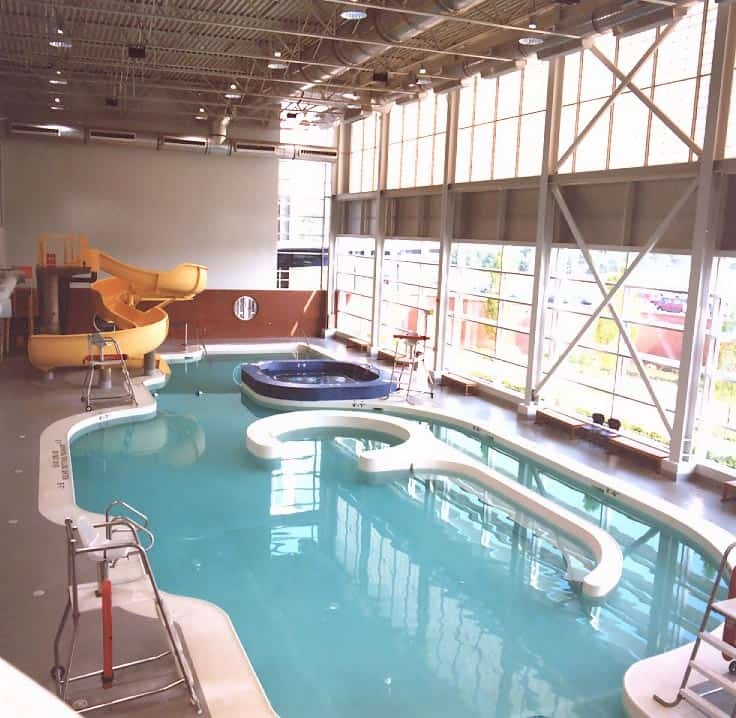 Aquatic features, including the slide, are available during Recreation Swim Hours. 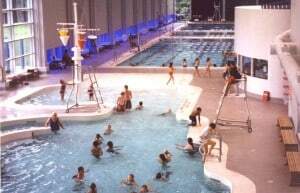 (Link to pool calendar) General open swim is offered during most pool operating hours. 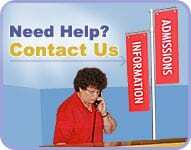 All lifeguards hold current certifications in Lifeguarding, First Aid, CPR for the Professional Rescuer, and Oxygen and AED Administration. 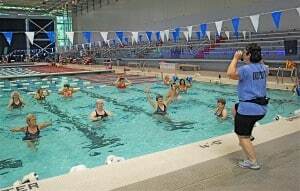 Swimming instructors are certified American Red Cross Water Safety Instructors.